Smartphones haven’t been around for too long actually, not up to a decade, but right now seems like a huge deal. Even more than the wheel. Due to its one thousand and one uses it has become one of the handiest tool, especially to the youth of this Era. From keeping in touch with family and friends, keeping relationships and making them stronger, to bringing the world together on our finger tips. Smart devices, have become a revolutionized technology. Mart watches and TVs and other gadgets just help to compliment the whole idea of a computer age. Like (almost) every good thing, Smartphones(devices) have come to also be a tool of…….” Not good Things”. Theft, Corruption of the mind, abuse of ‘em and whatnot are but a few of the things we owe to the Smarts. But Nevertheless they are still awesome and we do not let these stop us from utilizing them. It is the 12th of October, 2015. 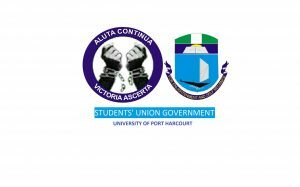 The proposed date of the Commencement of the 2014/2015 2nd semester Examination of the University of Port Harcourt. Now whether it holds or not this day, one thing is for sure…Our phones are going to be busy…From the smallest (but almost most powerful) Nokia torch to the Samsung Galaxy S6, to the outcast neighbors- The Blackberry’s “Curves and Bolds” alongside their new siblings-the Zs and Qs, The iPhones to the Lumias and for some reason maybe the tablets and phablets. Students have gotten a million and one uses for these devices. I once had a full handbook in pdf on my phone, and I actually snapped it. And believe you me, it wasn’t less than 10 pages. LOL. Students have avoided missing tests and important events because they had their phones handy. Now has come the day of exams, a whole new world of uses is at the fingertips of students. They will always find a way to use phones to their advantage. Imagine reading a Textbook, in the exam Hall, on…wait for it…Your smartwatch…How cool is that? Now also imagine being caught and your $10,000 apple watch is seized from you? Or your recently bought Moto 360 (for those with that Dream-I won’t call names). Would you pay for your crimes, offences and submit the watch or iPhone or –why not- Tablet? Or would you take the risk and make a run for it. Surely, it be a hard choice to make. All of this could be avoided, if we take our time to study, avoid parties for the time being, Focus on the real reason we are here, in school, this very moment and also hang around the right people, choose the right seatmates, plan the right strategies and do “other things” that I cannot post here. ;-). But eventually, do what you can (legit things) to scale through one more exam. On behalf of the CampusLife Team, we wish You all happy and peaceful exams these coming weeks. Previous articleNigeria @ 55.what would you call Nigeria if given a chance to rename her? and other questions. See what students said in this clip. I didn’t call anyone’s name sha….